 Grey County operates three long-term care homes across the County; Grey Gables in Markdale, Lee Manor in Owen Sound and Rockwood Terrace in Durham. We are passionate about providing the highest quality service for our residents and each home is dedicated to ensuring that Grey County’s tagline – “Colour It Your Way” is the foundation of all care and service. We collaborate with those who live and work in our homes, our volunteers, families and community partners to provide care and service that focus on optimizing life purpose. Rates for long term care are established by the provincial government and they cover the cost of things like care, food and programming. The resident/family is responsible for a co-payment for accommodation. Based on the individual’s income, subsidization may be available for basic accommodation. What kinds of services are available at a Long Term Care Home? Access to a variety of health professionals. There are also a variety of optional services available at an additional cost, such as hairdressing, dentist, foot care, cable TV, telephone and transportation. There is a variety of private and shared rooms. If you like having your own space, a private room might be your preference. Private rooms are more spacious than shared ones. If you enjoy having a roommate, a shared room may suit. Shared rooms are more affordable. There are two types of shared rooms: semi-private and basic. What do I need to bring to furnish my room? We provide bedroom furnishings including a bed, bedside table and chair and all linens. We encourage residents to bring pictures and other personal items. If you are unsure whether a personal item will fit safely in the room, please speak with a member of the leadership team before you make arrangements to have it moved in. Please contact the home directly. I have a question that hasn’t been answered. Are you looking for a rewarding opportunity? Consider volunteering!